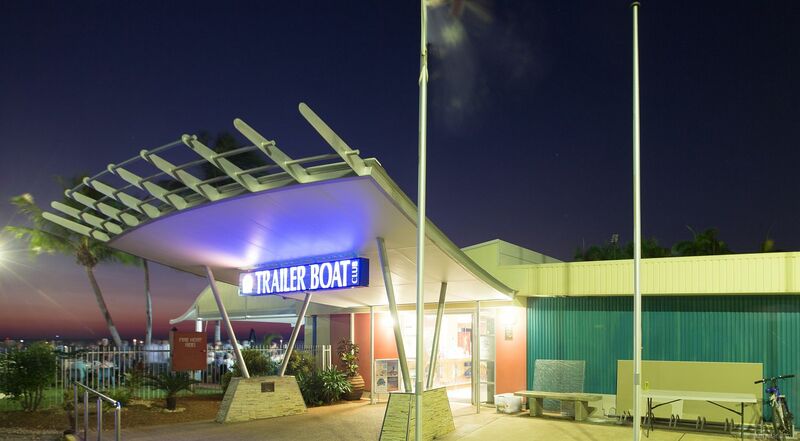 The Darwin Trailer Boat Club's great service, generous spaces and stunning water views of Fannie Bay are impossible to beat. 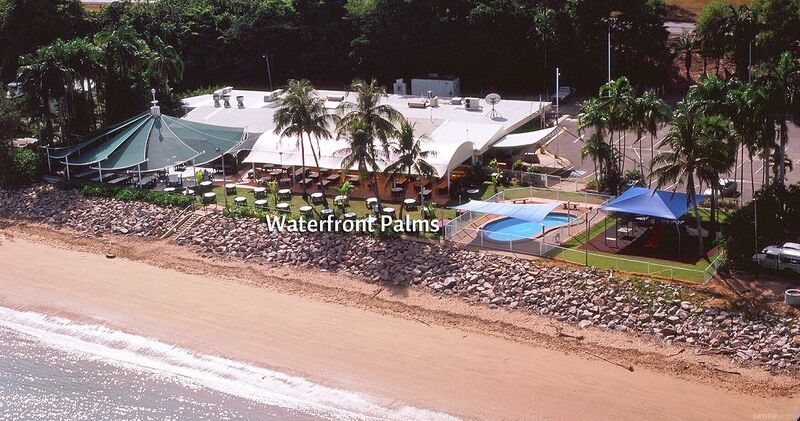 The Waterfront Palms area is prefect for informal gatherings. 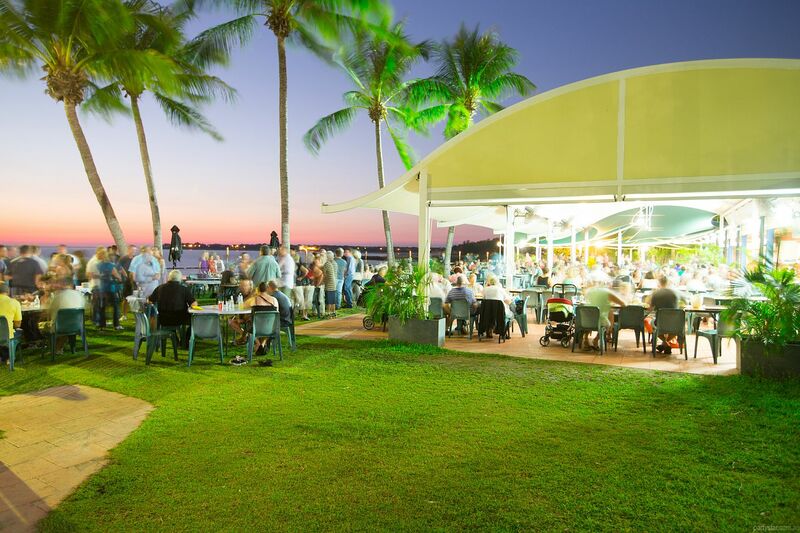 Situated on the left hand side lawn area (when looking from the carpark) under the palm trees, this is as close to the beach as possible without getting sandy. There is space for standing and seating, with two large tables and multiple small round tables. It's the perfect area for that cocktail beachside party. Catering options are done fresh and delicious in the venue and include platters and buffets. Use the inside bar or we can set up an exclusive portable bar with your selection of beverages. Parties here lap up the views, sounds and smells of absolute waterfront. 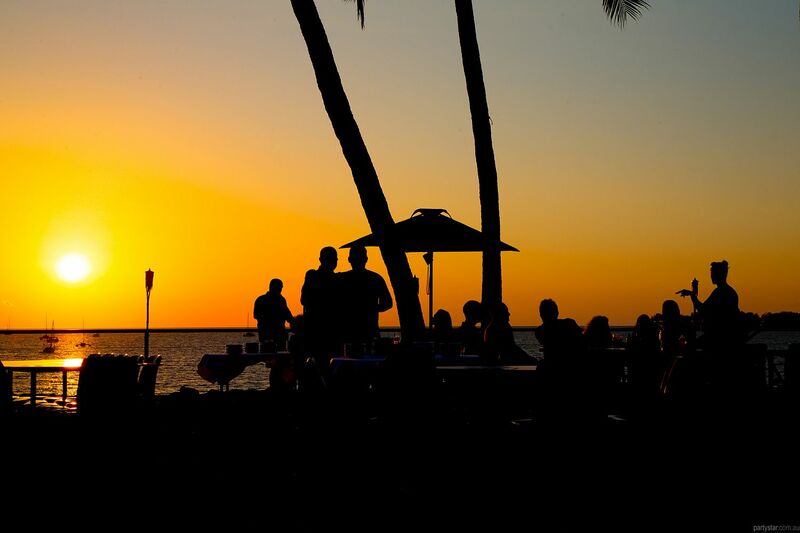 In the evening, the spectacle of Darwin's tropical sunset will delight your guests and create the perfect backdrop. Smoking area: Located on the other side of the venue. You may play your own music if you bring your own equipment. Available 7 days at the same price. You are welcome to BYO presentation facilities. Restrictions: Clean up your space or fees may apply.